Loving the ReMoved Child, the reality of Adoption, Fostering, and Guardianships. I wept watching this video that Relevant Magazine posted last week called, ReMoved (link attached). I realized that so many of us have a false view of what loving a child from a broken and painful place is really like. So, I’m writing this for you today, sweet- brave momma, the one that boldly walked into the unknown to love and embrace a ReMoved child. To the tender-hearted mother that had no idea how high of a price her heart would pay when she started this journey but, she did it anyways. You are a fighter, a lover of the lost, a persevering giant, may you find encouragement here. This is also a letter for the friends of an adoptive, guardian or foster parent, this letter is to share our hearts and our struggles with you, so you may know us more intimately and be encouraged to walk the whole journey with us. Because, you dear friend are a life-line to us, and a treasure in our times of brokenness. You are someone that can also truly rejoice in our victories because you intimately know how great they are, we need you brave friend. 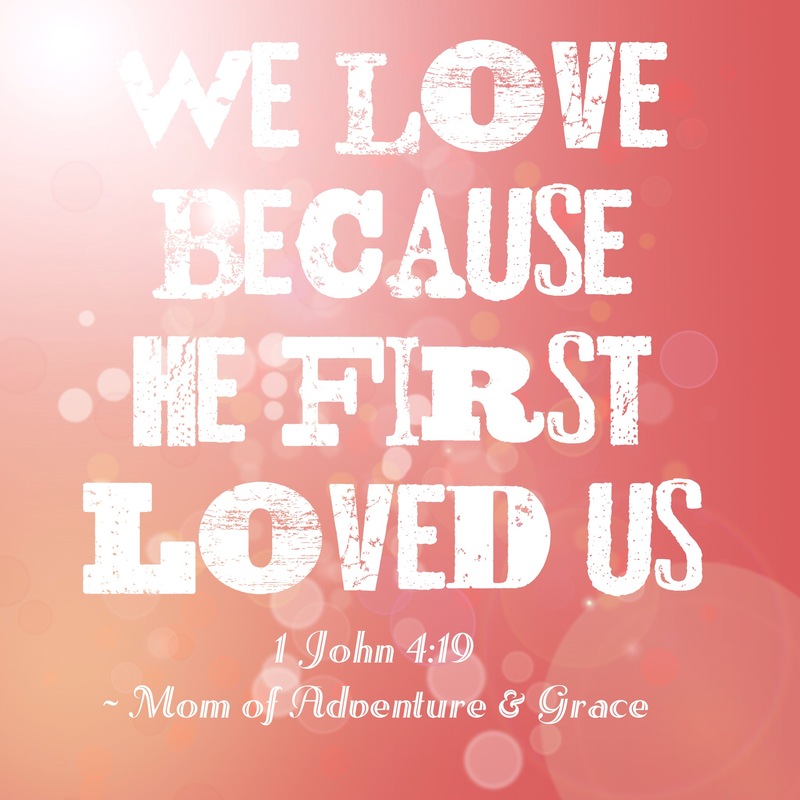 The first truth we would like to share with you is that the abused and/or neglected children that we bring into our families to foster, guardian, or adopt, are not immediately filled with love and gratitude towards us. Actually, they are more than likely scared, confused, angry, and hurt and they don’t want to be with us, they want to be with their birth parents. Regardless of the severity of abuse or neglect that was in their home, children have a pull towards their natural parents and often a strong belief that things will be better if they are allowed to go home. More often than not, abused children have an even deeper feeling that the problems in their home were their fault, and they have a heavy guilt that leads them to believe the lie that if they are better children when they go home, then their parents will be better parents. It’s a painful inner struggle to observe in a child. The children often can’t comprehend, at least at first, that none of this, absolutely none of it is their fault, and that you only want to love and protect them. Next, know that there is no simple, fast solution to healing the heart of a hurting child, or healing our hearts. This is a journey dear friend, one that takes a lifetime. We will have triumphs and we will have setbacks, we will rejoice and cry happy tears and we will break and cry out in desperation. We are learning as we go, we are not experts in this area, in compassion we responded to a call God put on our hearts to help these children. We need grace, we are not perfect and we don’t know all of the answers. We are earnestly seeking help as fast as we can, our home is now filled with books and resources and documents on how to best love and walk through the healing process of our ReMoved children and our own children. We are seeking professional help, state help, community help, and we are trying anything and everything until we find something that works. We are desperate for healing, for joy, and for peace. We live each day dependent on God’s grace and mercy to meet our needs and refill us when we’ve been drained out. You should know that we have been shocked and scared by the behaviors of our ReMoved children. We had no idea the depth of pain, abuse, and neglect our children suffered and even more than that, we had no idea the resulting behaviors that would surface because of them. We have felt blind-sided and more than once we have cried as husband and wife asking the questions, “What did we get into?”, “Lord, how do we handle this?”, followed by pleading prayers, “God help us”. At times we have felt alone, isolated, and afraid to talk about our issues, afraid to ask for help because we could already feel the penetrating judgments and opinions of uneducated bystanders. It has hurt, but we have learned that sometimes, people just don’t understand our journey or they just can’t carry it with us. That’s ok. Know that God will never leave you nor forsake you, He is in this with you, He is your greatest encourager and your most tender comforter. Lean in deep to Him friend, let Him restore you and give you rest when you need it. We want you to know that some of our children have things like Post Traumatic Stress Disorder, Attachment Disorders, Fetal Alcohol Syndrome, Eating Disorders, Self Mutilation, Hoarding, Learning Disabilities, Mood Disorders, and more. We don’t understand these things any more than you do, we are learning. We are seeking professional help for the treatment of our child, not one professional but, often several. We are becoming our child’s greatest advocate, we are digressing ourselves into this new world of special needs so that we can fully understand our child and better help them. It’s hard and sometimes we find out what works for them by finding out what doesn’t. That’s always hard for us, and our child. But, we get back up and fight for more answers because we are determined to see our child be more than these labels, we want them to have tools to overcome and succeed, we are passionate about helping them become all that God made them to be! We may annoy you with lots of pictures or social media posts about our children, please know that it’s not because we want to paint a false, one sided picture of only the good stuff. It’s because we are dealing with our hard stuff so much and with so many trained professionals that fb posts of our good times are a nice outlet for us, it’s a space we can have for joy and we need that. We also love and respect the privacy of our children, their struggles aren’t something to blast on social media, we don’t believe in the humiliating shaming that parents are doing on social media now. It’s just not edifying or uplifting. So, please know that we will probably post lots of sporting and academic achievements on fb as well as fun adventures, it helps us stay focused on the positives in our lives. To our friends, you brave souls with thick skin and love for our family, thank you, with humbled sincerity, we thank you. You are a special kind of wonderful. You should know that we long to have our family be “normal” no drama, no new pains, no new challenges, just “good”. We long to be self-sufficient and a blessing, not a burden to our community. We are working so hard to overcome the trauma’s we have been through and get there. But, we are on a journey of loving our unique ReMoved child, God is breaking us in new ways so that we can love in new ways, it’s messy, it’s embarrassing and frustrating sometimes, we just want you to know that it’s not what we thought it would be either. But, we are committed to loving these ReMoved children at all costs, we are teaching our own children what it means to love sacrificially, and we are being taught right along with them. Grace and commitment to the journey is what we long for most.. Know that your friendship, your encouragement, your physical and emotional help are an unbelievable blessing, God is using you to lift us up and keep us going dear friend, thank you. When our child succeeds or overcomes a challenge, you should know that you are a part of that, your love, your prayers, your support helped them become who they are. You are sharing in our victories when you share in our heartaches. We need you, we love you, and we are thankful for you. Very well articulated; thanks for sharing. Thank you for taking the time to read and for your kind words. I would love to get together sometime. I feel like we are lacking in support and in help. We are on to our fourth counselor and still no sign of change. We are often at the end of our rope and just keep moving forward. This was encouraging in that I can completely relate but still feel so helpless. Dear Kasey, I know the feeling of being at the end of your rope and pushing forward, hoping it will get better. I hoped this article would help other families know that they are not alone. I would love to get together and talk. I’m actually going to be in South Lake Tahoe next Wednesday for a High School Swim Meet, I’ll private message you my number and we can set something up.